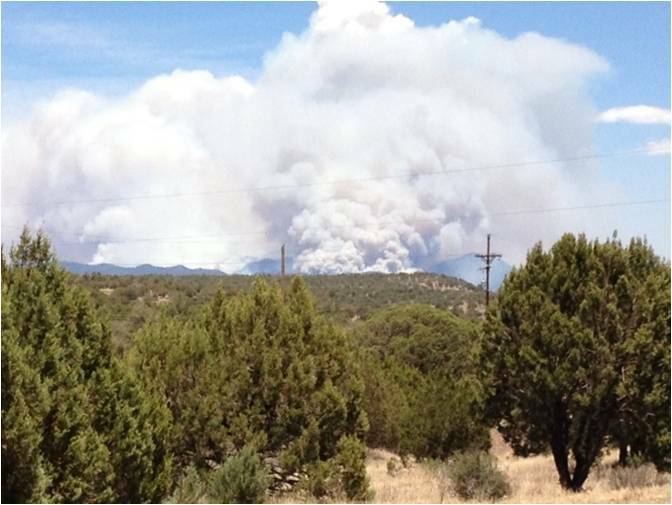 The 2013 fire season in the Gila Las Cruces Zone started out with a lot of potential. Snowpack was minimal and melted early in the third straight year of severe drought. Lack of fine fuels kept wind-driven starts from spreading rapidly. Early season fires were suppressed quickly. A handful of lightning-caused starts on the Gila National Forest on May 10 and 11 were all kept to less than five acres. The largest early season fire was McKinney, on State and private lands, which burned 153 acres of grass and shrubs near Tyrone on May 21. 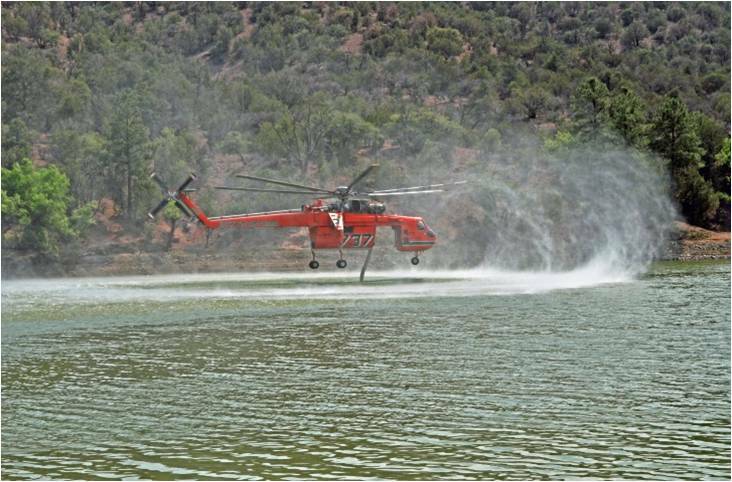 With assistance from the Gila contingent of smokejumpers and several loads of retardant, firefighters saved 10 nearby residences. By June 1, indices across the zone exceeded the 97th percentile. The next round of lightning began June 4, producing three fires, including the Sawmill Canyon fire on Quemado District. This Type 3 fire burned 42 acres and utilized several local engines and crews. On June 7, five more lightning fires ignited across the forest. Papoose and Indian, close to each other on Wilderness District, both grew to about 80 acres before efforts of several crews, smokejumpers, engines, retardant and helicopter support succeeded in containing them. Meanwhile, the Silver fire was initial attacked the same day with two engines from Silver City District. The crews got a scratch line around the five acre fire by midnight on a moonless night. Soon after that, some logs rolled out and ignited super-dry fuels on the steep slopes below. The engine crews were forced to retreat for safety reasons. The next day, 80,000 gallons of retardant were dropped on the growing fire. The steep, rugged terrain prevented any crews from approaching the fire on the ground. By the morning of June 9, the fire established itself in a bugkill-choked area of the forest that had not burned in more than 100 years. Pushed by red flag level southwest winds, the fire took off and a Type 2 team was ordered. The Silver fire was managed first by the Flagstaff Type 2 Team, then by the New Mexico Type 2 Team. It burned over Emory Pass and threatened the community of Kingston. The town was evacuated for ten days, but efforts by hotshot crews, engines, and retardant kept the fire out of the town. During the next month, the Silver fire jumped Highway 152, burned past the Hillsboro Lookout, and moved into the Aldo Leopold Wilderness. No structures were destroyed. 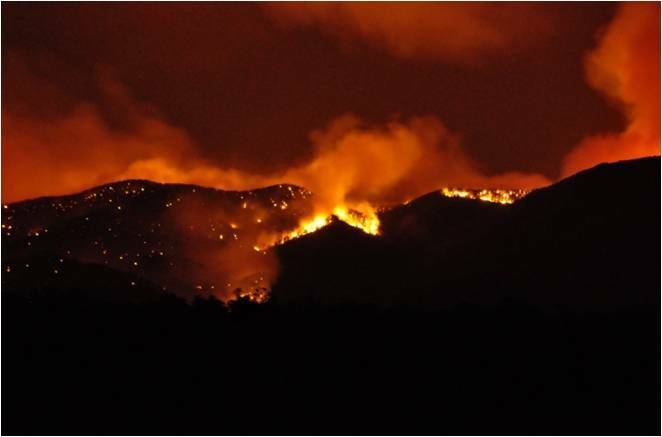 The summer monsoon arrived in early July to moderate the fire’s spread. By the time it was called contained on July 18, it had burned a total of 138,546 acres on the Silver City, Black Range, and Wilderness districts. Besides the two Incident Management Teams and miscellaneous overhead from 19 states, the fire suppression operations utilized 15 Type 1 crews, 18 Type 2 and T2IA crews, 27 engines, 2 dozers, and 7 helicopters. Expanded Dispatch and a Buying Team set up in the Silver City Supervisor’s Office conference room and were operational for 5 weeks. Silver City Dispatch was staffed 24/7 with aircraft and initial attack dispatchers detailed from California, Idaho, Oregon, Colorado, Arizona, and Montana. As the monsoon season wore on, lightning strikes ignited some 80 new fires on the forest, BLM, and State lands in July and August. Initial attack was successful on all these fires. A large Burned Area Emergency Rehabilitation project was initiated to stabilize the slopes impacted by intense burning during the Silver fire. Summer rains turned into a deluge in September, causing fire-scorched drainages in both the Silver fire scar and the Whitewater-Baldy fire scar of 2012 to flood. On September 15, Mogollon RAWS recorded 9.1 inches of rainfall. Forest roads were damaged, creeks went over their banks, and state highways became clogged with debris. 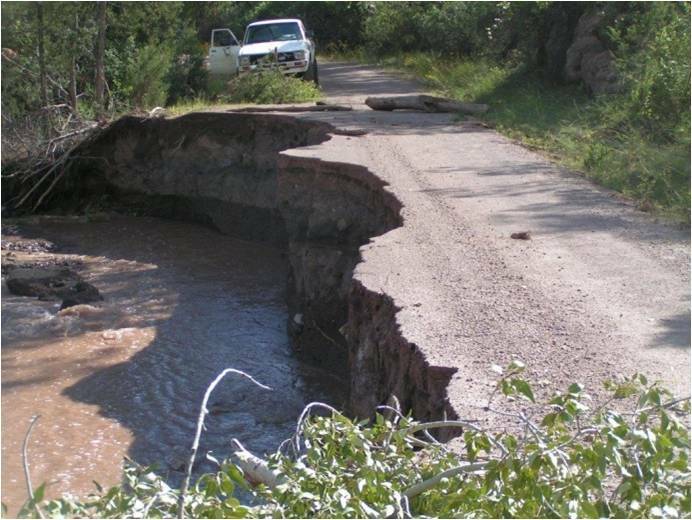 Affected areas included the Emory Pass road, the Gila Cliff Dwellings, the village of Mogollon, the Catwalk, and the area around Snow Lake. Several stranded hikers and hunters were rescued and one man was swept to his death in a flash flood. Rehabilitation of forest roads will be an ongoing project over the winter. In summary, the total number of fires in the Gila-Las Cruces zone in 2013 was 160, less than the five-year average of 276. This was due to the small number of BLM and State fires this year (only 40 between them), compared to their usual 123 or so, as well as a smaller than average number of starts on the Forest. Acres burned this year totaled 140K, very close to the average of 150K over the past five years. 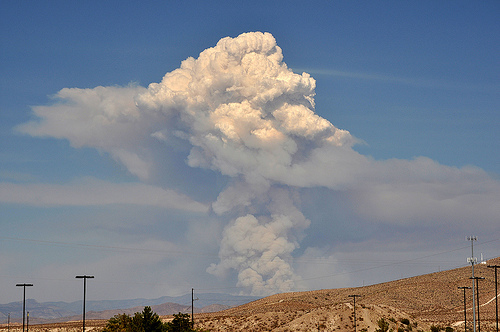 Of the 140,101 acres burned in the zone in 2013, 138,546 belonged to the Silver fire. Initial attack was 98% successful in the zone.